Crisp round the edges, perfectly chewy centre with melting studs of chocolate throughout. 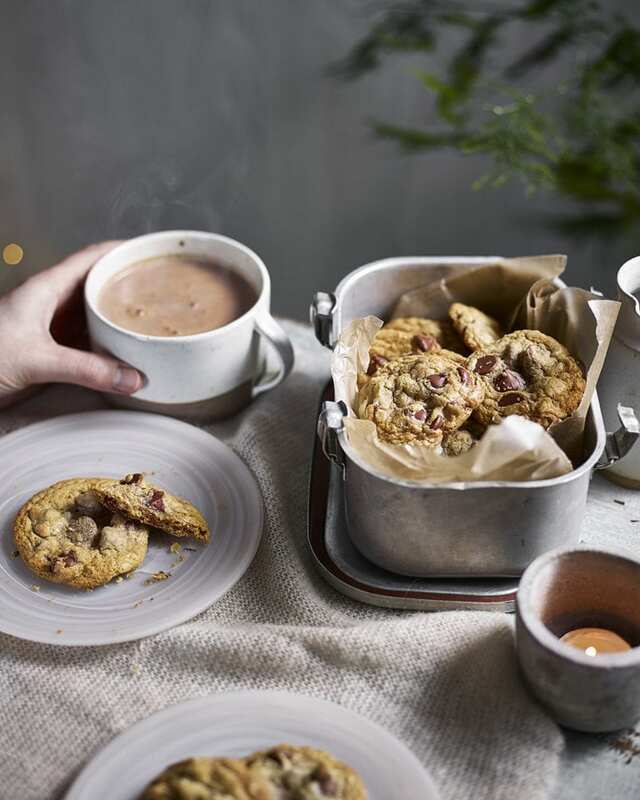 You can’t beat a classic and these choc chip cookies are no exception. In a mixing bowl, beat the butter and sugar with an electric mixer for 2-3 minutes, then add the egg and vanilla bean paste and beat again until combined. Add the flour, cornflour and bicarbonate of soda, then mix again until just combined. Gently fold in the chocolate chips. Use a small ice cream scoop to scoop the cookie dough mixture into about 20 balls, placing them directly onto the lined baking sheets. Chill for 1 hour (see Make Ahead). Heat the oven to 200°C/180°C fan/gas 6. Bake the cookies for 10-12 minutes until the edges look crisp and the centre is still a bit squidgy when you press it. Leave to cool on the trays, then store in an airtight container (if you don’t eat them all immediately…). Make the cookie dough to the end of step 2, then chill for up to a day or open-freeze on a tray, then store the frozen dough balls in an airtight bag for 1 month. Defrost in the fridge overnight, then bake from chilled.